CET Delhi 2018: Application Form, Exam, Admit Card, Result, Rank List and Counselling procedure!! CET Delhi 2018: Common Entrance Test (CET-2018) Delhi is the deciding factor by The Department of Training and Technical Education, Government of National Capital Territory of Delhi to admit students for the academic session 2018-19 in various Full-time Diploma programmes (Engineering and non Engineering) being offered at Institutes affiliated to the Board of Technical Education (BTE), Delhi. CET-2018 also facilitates the lateral entry of candidates passing out from CBSE 10+2 (Vocational Engineering Stream) from Schools located in Delhi & those from Industrial Training institutions located in Delhi & affiliated to SCVT / NCVT. These students will be eligible for admission to Second Year/Third Semester of Full-Time Diploma Engineering courses in analogous disciplines against 10% supernumerary seats earmarked for them. CET Delhi 2018 counselling schedule has been released and the same has been updated in the table given below. Admit card download 10 Days prior to CET 2018. Delhi CET 2018 Admit Card has been released for all the test. To download, click on the link given below. The registered candidates can download the Delhi CET admit card 2018 by logging onto the aforementioned website approximately one week before the date of CET- 2018 examination. The candidates are advised to check the website regularly for updates. Admit Card should be retained by the candidate as it would be required through the entire admission procedure. There shall be no issue of duplicate admit cards after the entrance test. The admit card shall bear the Roll no. And the examination centre details. Please follow the instructions mentioned in the admit card before appearing for the exam. The CET-2018 is divided into 5 tests for the 5 different categories of programmmes it offers admission into. Passed 10th or matrix or any other examination recognized as equivalent examination conducted by CBSE with not less than 35% aggregate marks in Science, English and Mathematics. The subjects Science, Mathematics and English are compulsory & the candidate should have passed in each of these three subjects. Candidate passing the qualifying examination under grading system must have to obtain the passing grade to be eligible to apply. Test 2 Modern Office Practice (English) The candidate should have passed Senior Secondary School Certificate Examination (Class XII) of the CBSE, Delhi in any stream or any other examination recognized as equivalent. Minimum 45% marks (40% for SC/ST) in aggregate of best three subjects including English in the board exam. Test 3 Modern Office Practice (Hindi) The candidate should have passed Senior Secondary School Certificate Examination (Class XII) of the CBSE, Delhi in any stream or any other examination recognized as equivalent with minimum 45% marks (40% for SC/ST) in aggregate of best three subjects including Hindi/Sanskrit. The subject Hindi/Sanskrit is compulsory for Modern Office Practice (Hindi). Test 4 Pharmacy The candidate should have passed the Senior School Certificate Examination (Class-XII) of CBSE or any other examination recognized by the Pharmacy Council of India as equivalent to the Senior Secondary School Certificate exam of the CBSE with minimum 45% marks (40% for SC/ST) in aggregate of Physics, Chemistry & either Biology or Mathematics. The subjects English, Physics, Chemistry and either Mathematics or Biology are compulsory and the candidate should have pass marks in these subjects. 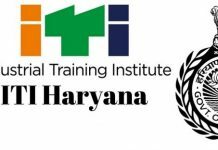 Information technology enabled services and management (ITES&M) Students have to pass analogous 12th Vocational (Engg) stream of CBSE or equivalent from schools located in Delhi only. Minimum aggregate of 60% marks must be obtained in best five subjects. Passed 10th class from CBSE board and 2 years ITI (Engg.) from ITIs/ITCs situated in Delhi only. The qualifying exam should be passed with minimum 60% aggregate marks (all subjects). The application process shall be available online on the website . No offline forms shall be available. Application procedure should begin by 20th March and would last till 19th April 2018 (5:00 PM). Application fee for Delhi CET 2018 is : Rs 400/- + Rs 15/- bank charges + Rs 3/- (service tax). The official authority has released the application form correction window on 20 April 2018. The last date to make changes/ edit the application form is 23 April 2018. Click on the link “Delhi CET Application Form Correction 2018” to make changes. Log on to the website to fill the online application form for Delhi CET 2018. Choose one from the 5 tests you wish to apply for. Upload Images i.e Photo, Signature, Thumb impression. Date of Birth of candidate: The date, month and year of birth should be written as given in the class 10th/Secondary School/High School Certificate of the Board or the University. Gender: Select the appropriate option as male, female or transgender. Category: Select the appropriate categories like GN, SC, ST, and OBC. Subcategory: Choose the appropriate Subcategories like NCC, DP, SM, PWD, JK, and TFW. Click YES if you belong to any of these subcategories, otherwise select NO option. State code of eligibility: Select Delhi if the qualifying exam was passes from an institution in Delhi, or else select ‘outside Delhi’. Religion: Select the appropriate religion. Aadhaar NO: Provide your 12 digit valid AADHAR Number. Then Apply for the choice of the TEST you want. Enter the details of your Educational qualification. Address: Fill your Address details. Choose Password: The candidate will be prompted to generate the ‘PASSWORD ‘. Security Question: The candidate will be prompted to select and give answer to the security question. Security PIN: Please enter the value in the Visual Image. After that candidate can choose to edit Application form data or click on final submit. Candidates have to retain their Application Number for further use. Uploading the scanned copies photograph, signature and thumb impression. The fee may be submitted either by any credit/debit card/ net banking/e-wallet/SBI Buddy. The fee may be submitted by e-challan in any branch of Corporation Bank in India. In case of e-challan, you will get a system generated copy of the e-challan. Take the printout and go to the nearby Corporation Bank branch after 24 hours of generation of e-challan. After the completion of the application procedure, the candidate shall receive a fee receipt and confirmation page from their login ID. Please retain them for future reference. No. 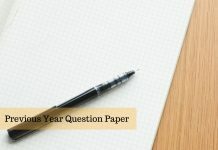 of Questions: 150 MCQs. Each question bears 4 marks. In case of Pharmacy, there shall be 210 questions, out of which 150 must be attempted by opting for 60 questions either from Biology or Mathematics. Negative marks: one marks for every wrong answer. CBSE syllabus for class XI Exam held in 2017 and CBSE syllabus for Class XII Exam held in 2018. The result of the Common Entrance Test (CET-2017) will be displayed on the website by 14th June 2018. Only the inter-se ranking of the qualifying candidates shall be declared in the results according to the score in the entrance test. All the candidates scoring marks of 10% shall be considered qualified for the counselling procedure. In case of ST/SC/OBC/PWD the minimum qualifying marks is 5%. The candidates shall not receive any separate intimation from the controller of Exams, CET regarding the results. The ranking of the candidate shall be decided on the marks obtained in the entrance test only on obtaining the minimum qualifying marks. Candidates having more marks in Mathematics in CET shall rank higher. Candidates securing more marks in English in CET shall rank higher. After that, Date of birth* shall be considered . Candidates securing more marks in Hindi in CET shall rank higher. After that, Date of birth* shall be considered. Candidates securing more marks in Biology / Mathematics in CET shall rank higher. After that Date of birth* shall be considered. In case of a further tie, the order of rank should be marks obtained in Physics in CET, followed by marks obtained in Chemistry in CET and then the Date of birth* shall be considered. *Candidate older in rank shall have a higher rank. All the qualified candidates in the CET 2018 may proceed for the counselling procedure. It must be noted that admission into any institution shall be based on the rank of the candidate in the entrance test and subjected to availability of seats. The counselling procedure shall happen online and the notification regarding the same shall be intimated on the website soon after the declaration of result. Before proceeding for counselling, the candidates has to pay a counselling fee. The amount to be paid as fee is: Rs. 700/- (Non-refundable) + Rs 20/-bank charges + Rs 3/- ( service tax ). Digital payment through netbanking/credit/debit cards on the website mentioned above. On selection of e-challan mode, an e-challan will be generated containing specific details of the candidate along with amount to be paid.The candidate has to take a printout of the same and take it to the nearest branch of the Corporation Bank for making payment. Online registration can be done on the website. Aadhaar card is mandatory for registration. Enter your TEST NO., CET ROLL NO, CET APPLICATION NO. and DATE OF BIRTH in the “ONLINE REGISTRATION” link given on the above Website. On correct furnishing of the above credentials, the candidate will be directed to the REGISTRATION FORM. You shall be required to generate a password which you shall be needing to log in later on. At the end of the process, an “Online Registration receipt” will be generated on the screen displaying the Registration Status & Eligibility Status for Counselling. Retain it for future reference. login using your CET Roll no. as login ID and Password (generated by you in the registration step) on the Website. Click on the “Fill Choices” option and select your choice of discipline and institutes. Select maximum options to ensure you have more chances of admission. Arrange your choices according to your priority. On selecting all your desired choices and arranging them according to your priority, Lock your choices and take a print out for reference. The choices can be changed anytime before the last date of submission of choices by pressing the “unlock” button. In case the choices are not locked, they shall be automatically locked on the last date by the system. The results of the first round of counselling shall be available on the specified date as per the counselling schedule. It can be accessed by the candidate by logging in with their CET Roll No. and password on the website. If the candidate succeeds in getting a seat alloted, he/she can print the provisional admission letter. If a seat is not alloted, the candidate can wait for the subsequent rounds of counselling. Allotted Candidates have to deposit the Part Institutional Fees (ONLINE) amounting Rs 1500/5500/6000/7000/8000 as mentioned in the Provisional allotment letter strictly as per the specified date and time, else he/she will lose the seat/admission as per his/her merit. On any discrepency in the documents proving the candidate eligible for the seat alloted, the admission shall be cancelled. If the candidate is satisfied with the seat alloted, he/she can freeze the seat within specified time and refrain from attending subsequent rounds of counselling. In case the seat is not frozen, they shall be automatically upgraded to their next higher preference in the next round. They can’t revert back to their previous seat after that. In case the candidate is not alloted the seat of their next higher preference, the previously alloted seat shall be retained. Successful candidates should deposit the balance Institutional fees, if any (ONLINE) strictly as per the date and time mentioned in the counselling schedule. Payment receipt of Online Part-payment made by candidate. Copy of Provisional Allotment letter. Two latest identical Color Photographs same as that pasted on the admit card. Admit Card of CET –2018 (Original). Proof of date of birth (Secondary School Certificate). SC / ST / Person with Disabilities/OBC certificate issued by the competent authority/ Defence Category / Kashmiri Migrants / Minority Status Certificate(s), if applicable. Conduct and Character Certificate from the Head of the Institution from where the qualifying examination is passed. Certificate of Medical Fitness to be signed by a Registered Medical Practitioner. Undertaking regarding prohibition of ragging. Transfer Certificate/School leaving Certificate/Migration Certificate. Declaration/undertaking for non migration (inter-polytechnic/institute) after admission. NOTE: The formats for the respective certificates shall be available in the INFORMATION BULLETIN FOR CET- 2018. 85% of the total intake of shall be filled-up by candidates who have passed the qualifying examinations from schools located in Delhi. 15% seats shall be filled-up by candidates passing the qualifying examinations from the schools located Outside Delhi. 10% seats in an unaided institution shall be allocated as management seats except the minority institutions. 15% seats for outside Delhi students. Good luck to all the candidates appearing for CET 2018. Keep visiting our website for updates. Please write your questions and doubts in the comments section below. We shall try to resolve them with the best of our knowledge.